What sets The Tozier Group apart is its community focus, attention to detail and a loyal crew. The Tozier Group brings a personal dedication unmatched in the construction industry to every project. Our attention to detail and high standards ensure that every aspect of each Thomas & Lord home is executed at the highest possible level. 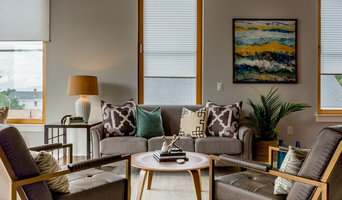 With over 40 years of experience, Inner Works Construction Services transforms homes and commercial buildings into stunning spaces and builds custom homes from the ground up in Portland, ME. Custom Design & Build company, innovative energy efficient designs using solar and geothermal systems, high level of customer service and communication. Cumberland County General Contractor & Custom Cabinetry-Best of Houzz! Peter B. Rice & Company is a Maine building and design firm dedicated to providing clients with an exceptional building experience. StoneWood Builders is a family owned & operated general contracting service with 100+ years combined carpentry, masonry, design, & general contracting experience. We are a design-build and remodeling company specializing in kitchens and bathrooms. In business for 39 years, we identify and provide solutions to problem areas, transforming difficult layouts into accessible, workable rooms. As a certified aging-in-place firm, we incorporate universal design in our projects. Karen Lewis, a master kitchen and bath designer certified by the NKBA, has been a general contractor since 1977. Our current team has been installing her designs, arrived at with substantial conversation with the customer, for the past 16 years. We manage the construction of your project, completing the work on a contract price and a set schedule. We have numerous repeat customers and are glad to provide references. If you are in the market for professional design, expert craftsmanship , and a worry-free building or renovation, get in touch with us and begin a transformation of that problem space. 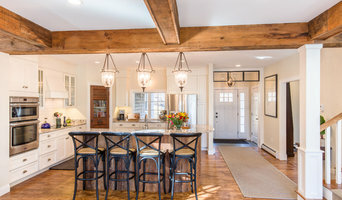 Richard Moody & Sons Construction Co., LLC is a fourth-generation fine custom home builder who has been building and renovating distinct properties along coastal Maine and New Hampshire for 65+ years. Sylvain + Sevigny is a residential and commercial builder located in Portland, Maine. Projects range from custom high-end craftsmanship to large-scale commercial additions. We pride ourselves in our ability to work closely with clients and architects alike to ensure their vision is realized and their expectations exceeded. We take pride in the reputation we have developed over the last 38 years and with each new home construction or renovation, we put our reputation on the line. Turn Key Homes of Maine wants you to love your home! From executive ranches to basic colonials or comfortable capes, Turn Key Homes of Maine can help build your dream. Established in 1985, Vail General Contracting, Inc. offers complete residential construction and renovation services from new homes and additions, to bath and kitchen renovations.